Franklin County, PA, has a population of 140,000, and we have 900 employees spread over 52 different departments. We first implemented Laserfiche in the Commissioner’s Office in 2000 to cut down on paper storage. Since then, Laserfiche has spread to 35 other departments with more in the pipeline. Here is how we have implemented Laserfiche Rio across our organization. Here are different ways that our various departments are currently using Laserfiche to meet their specific needs. Human Services Departments (Mental Health, Developmental Disabilities, Early Intervention and Aging): Store client files in Laserfiche and use Laserfiche WebLink to share certain documents with outside providers. Fiscal Department: Streamlines accounts payable with Laserfiche Workflow and processes incoming invoices with Laserfiche Quick Fields. 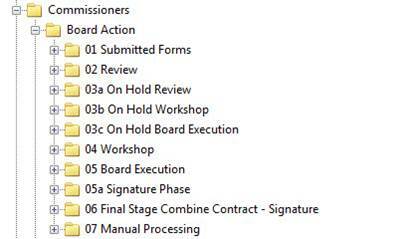 Commissioners Office: Makes all of the minutes from public meetings available to the general public on the Website with Laserfiche WebLink. Public Defenders Office: Uses Laserfiche Workflow in conjunction with e-forms for the “Application of Counsel” business process. The department also plans to implement the Laserfiche App in the near future to allow attorneys access to client files while in court. Human Resources and Jail: Store all of the personnel and inmate files respectively in Laserfiche. Treasurer’s Office: Automatically processes deposit slips with Laserfiche Workflow (more detailed information can be found in this companion Solution Exchange article). Tax Office: Tracks homestead applications and automates the tax appeals process with Laserfiche Workflow. Adult Probation: Automated the adult probation offender check-in process with Laserfiche Forms (more detailed information can be found in this companion Solution Exchange article). 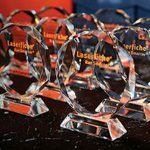 In order to help overcome people’s fears of digital documents and the turf wars of data ownership, we selected a Laserfiche champion in each department. This person was very enthusiastic about the project and fully embraced it. 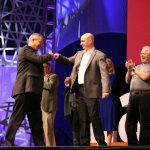 The Laserfiche champion was instrumental in obtaining buy-in from everyone else in his or her department. We sat down with our VAR and department staff to clearly define the project goals. Then we mapped out the repository folder structure, entry access rights and workflows based on those goals. When mapping out workflows, we first determined the desired end result and worked backward from there. We held regular weekly meetings with everyone involved in the implementation to go over the project’s progress. During these meetings we held frequent live demos and demonstrated what had been completed. These meetings got everyone involved in the project and allowed us to tweak certain parts of the implementation to fully comply with the department’s business needs. Various departments that are separated geographically are now able to quickly view and share documents without having to go through inter-office mail. Administrators can now monitor all of our workflows and quickly find and address errors with the tools available in Laserfiche Workflow. The multiple servers that come with Laserfiche Rio allow us to maintain a disaster recovery plan. If one server fails, the failover server can quickly take its place.